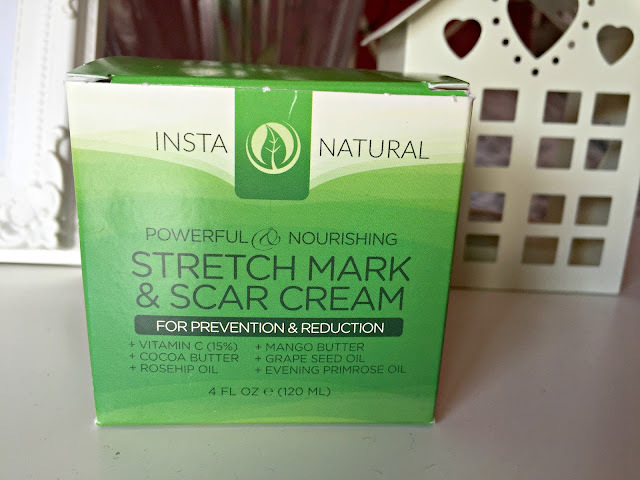 A few weeks ago I reviewed InstaNatural's Vitamin C Facial Toner and since I really enjoyed it I was super excited to be given another chance to review a second product from their range, the stretch mark & scar cream! Over the 11 years of having my cat, I cannot count the amount of times she's scratched me over my hands and arms. She really is evil when she wants to be. But unfortunately I've noticed that some of the deeper cuts haven't really been healing like they used to and instead have started to scar. Urgh! 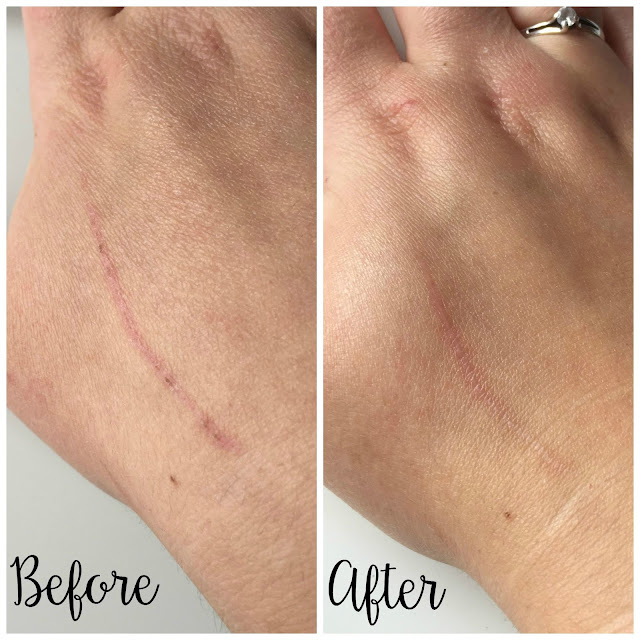 The day before I actually received the cream, my charming cat left a nasty scar all the way down my right hand and as painful as it was, it was also a great chance to test out how well the cream worked! For the past couple of weeks I've been using Bio-oil in an attempt to reduce the marks but I honestly cannot tell a difference at all so I was already on the lookout for something else when InstaNatural approached me. Of course I couldn't say yes quick enough and I patiently waited for my cream to be delivered. 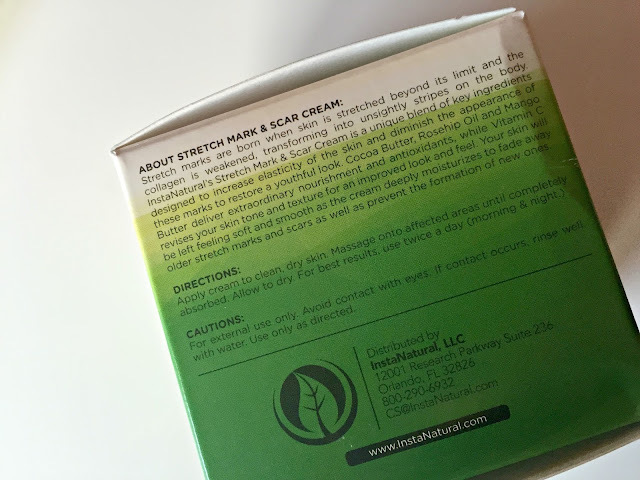 I was really impressed when the cream arrived as the packaging was so cute and simple and followed the same theme from the Vitamin C Toner. There are handy directions on the side with a impressive ingredient list of all the natural goodness inside. The pot itself was a great size and I realised after using that not much is needed to fully cover your scarred area so 120ml will last ages! Another part that I loved about the cream was the smell. As soon as you open the lid you're overwhelmed with mango and cocoa butter. 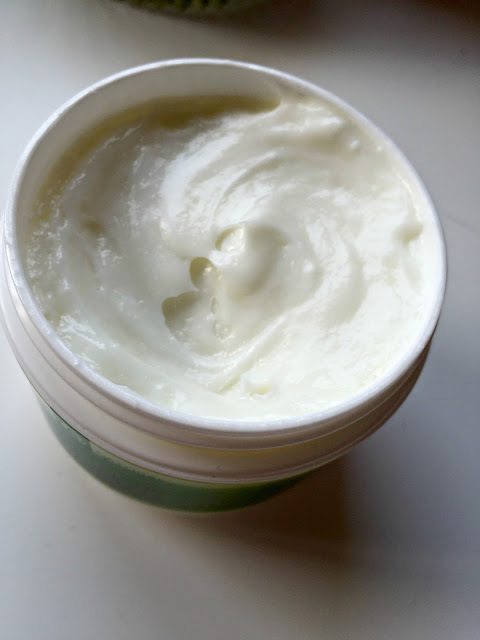 It's a very sweet but musky scent and it does slightly linger on your skin after applying. Big plus for me! 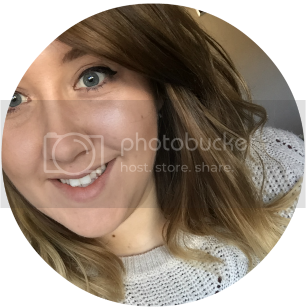 I've been using this cream for two weeks now, applying when I wake up in the morning and then before I go to sleep at night, and although I didn't really want to admit it, I have seen a big difference in my skin. As well as using it on the mark on my hand, I also used on a few other marks and scars on my body. Both dark and faint scars look reduced in size and colour and as an added bonus, the skin feels a lot softer to touch! 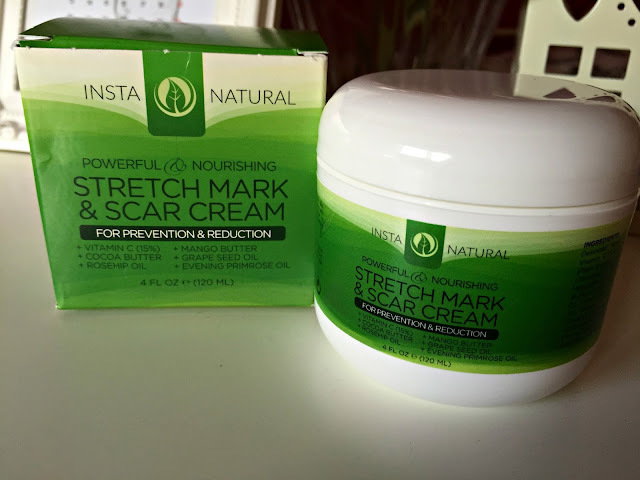 Over all I'm so happy that I have this cream in my life and I would definitely repurchase when I run low. If you suffer with marks and you want to get rid, I'd recommend giving this a try! You can check it out on their Amazon page where it's on offer for £23.95! I've also got this cream but a sneaky woman who I call mother has nicked off with it! Haha, it is a really good cream & I'm surprised how much you get with it! This sounds fab!! I love their stuff!